Dr. Leo Egar graduated from The University of Pennsylvania School of Veterinary Medicine in 2002. While studying at Pennsylvania, Dr. Egar developed a passion for shelter medicine and humanitarian work. Post graduation, Dr. Egar completed a rotating internship in small animal medicine and surgery at a busy emergency and referral practice in Phoenix, Ariz. Dr. Egar has participated in the veterinary medical response to major disasters including the 2004 Indian ocean tsunami and Hurricane Katrina, as well as many large-scale animal investigations. 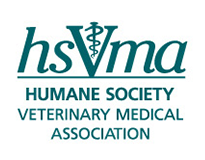 Dr. Egar has been an invited speaker at several national humane and disaster conferences as well as multiple veterinary schools. He has completed multiple training courses in shelter medicine, animal cruelty investigation, and surgery. Currently, Dr. Egar is employed as a staff veterinarian for the Arizona Humane Society working in the Second Chance Animal Hospital.